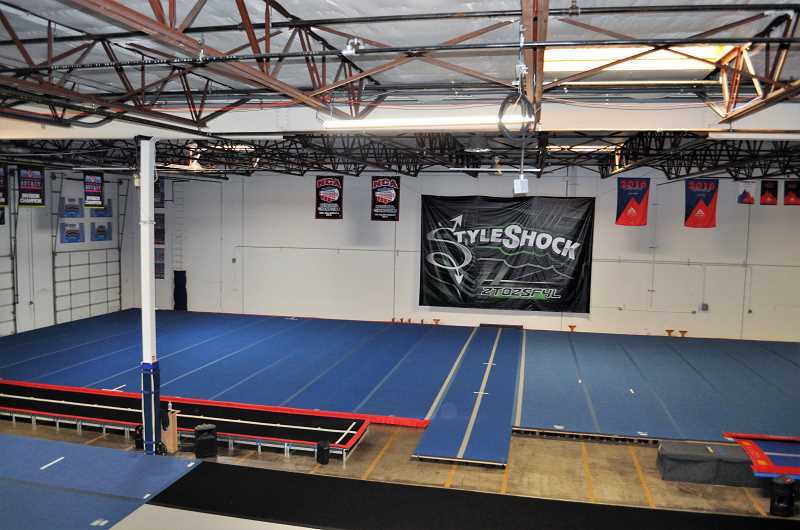 StyleShock, a competitive cheer training center, has relocated to Sherwood. StyleShock All-Star Cheer may be a new business in Sherwood — but its owner, Doug Scott, has lived in town with his wife, Theresa, and kids for about 10 years. Scott has two daughters, now 12 and 16, who take part in competitive cheerleading. The girls trained at StyleShock, a cheer training gym, when it was located near Bridgeport Village in Tigard. So when the previous owner decided to sell the business two years ago, Scott — a Nike software developer by day — made the choice to purchase it. "I wanted to keep the gym going, make sure it was in good hands, and I just saw a lot of opportunities for building other areas of the business as well," Scott said. When the lease on the Tigard location ended earlier this year, Scott and his family looked into possible Sherwood locations, wanting to bring the business closer to home. They found a spot on Southwest Tualatin Sherwood Road, just past the Southwest Langer Farms Parkway intersection, and moved the business over spring break. StyleShock hosted a grand reopening party on Friday, May 4. "There isn't really anything like this in Sherwood," Scott said about the move. "There's a lot of opportunity to pull from Newberg, Sherwood, King City — normally people have to drive much further to get to the services we have, so I'm excited about that." 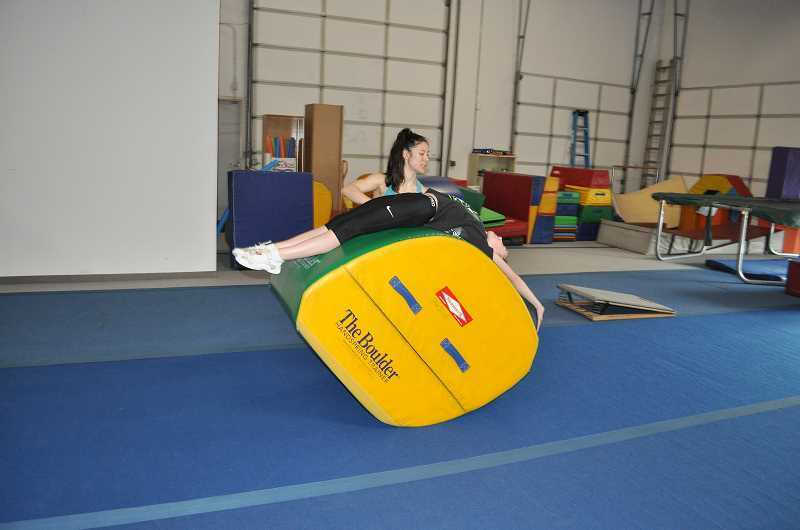 StyleShock's facilities include multiple different spring surfaces for cheer training, as well as a bounce house and party room that can be rented out. Scott keeps a staff of about 15 people, including cheer trainers that teach classes and give private lessons. The business has its own in-house cheer teams, which will travel to Florida in May to participate in The Summit Championship, an elite national cheer invitational. It also serves as a practice space for local school and community teams. StyleShock will hold tryouts this month as well, to form its team for next year. The competitive cheer season starts in December and goes through April or May. "It's very athletic," Scott said about competitive cheer. "It's jumps, tumbling, stunting, pyramid building, throwing tosses and dancing. So it's a very athletic, kind of multi skill-based competition." StyleShock's birthday party options include a bounce house party, a nerf gun party, or a cheer and tumble party — or a combination of two of those options. The facilities also include an elevated seating section for parents to observe practices. Scott said he hopes to continue expanding his business' offered services, and looks forward to running his business a little closer to home. "I feel like we have a lot of things that aren't already available in town," he said, "so I'm excited to get the word out to the community."